That the road is so difficult to grasp in conventional terminologies and forms of architectural representation (such as the plan, elevation, section and perspective view) may explain its marginal treatment by architectural history. The lecture series thus approaches the street from the Early Modern period to today from the point of view of literature, photography, film and music, in which whole genres are named after the road (eg. The "road movie"). 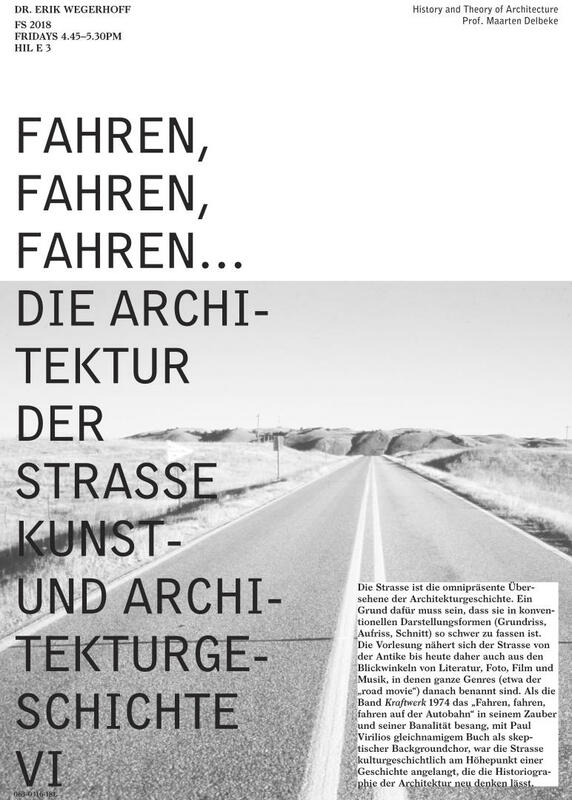 When, in 1974, the German band Kraftwerk sang the line, "Fahren, fahren, fahren auf der Autobahn" in all its magic and banality -- with Paul Virilio’s eponymous book as the skeptical background chorus -- the road reached a high point in cultural history; one that should certainly prompt its reconsideration in the historiography of architecture.